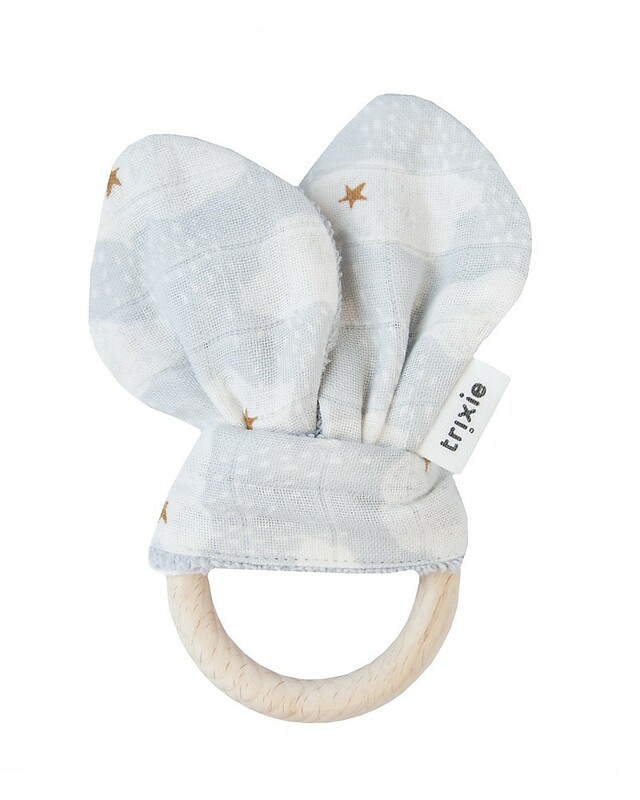 A funny design full of lovely clouds with a funny bunny ears, Trixie introduces the original and wonderful Rabbit Teether in wood and cotton! A product with a modern and super sweet design. 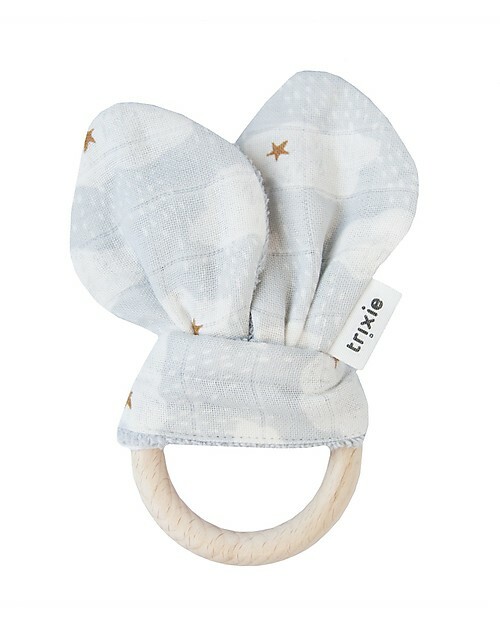 The wooden ring can be easily grabbed and kept by your baby's little hands and is also great for chewing on 'cause it relieves the pain of sore gums. It features two nice cotton details shaped like cute bunny ears and decorated with a light blue design with many clouds! When the first teeth start to emerge sooth your baby's pain with a funny bunny! A beautiful toy with great benefits for your little one!